While it threatened last Friday with overnight freezing temperatures, it appears it actually happened last night. Mid-October. Last night CSA share had teeny tiny yellow crookneck squash in it, as they turn to mush with freezing, better to pull them. The tomato plants still had plenty of flowers on them, but very few bees have been out as the days and nights have cooled down. 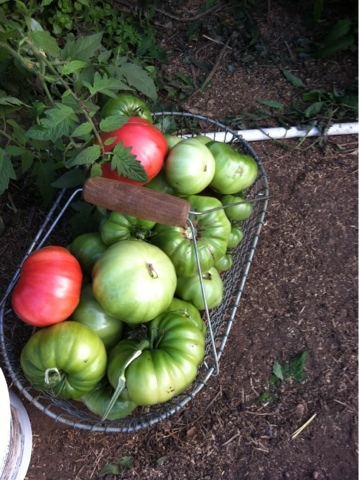 Buckets were filled with green tomatoes. A few red tomatoes were discovered too. The rain barrels have all been emptied and will get stacked in an out of the way spot until next year. The sides go back on the hoophouse ASAP. Much will grow inside. 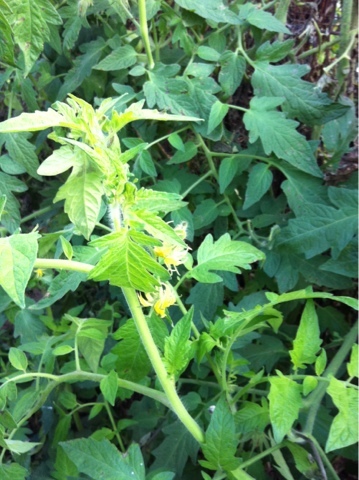 The tomato plants are pulled and fed to the pigs. Thursday night the basil turned to slime, no one gets that anymore this year. And unearthed while stripping tomatoes? 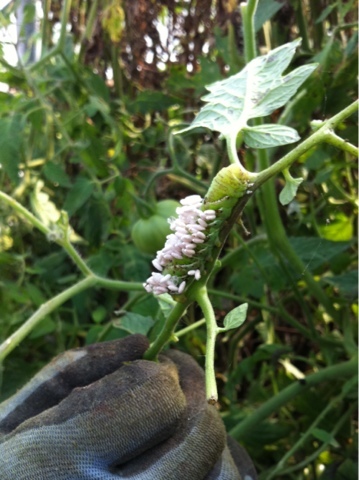 A petrified horn worm, with many of the parasitic wasp eggs hanging from it. Proof of a system of checks and balances, chemical free.